The fitness and exercise market is a billion dollar industry. From the “as seen on tv” items to fitness clubs and personal training, people pay big money in hopes of that perfect body. Although this is a profitable market, not everyone wants to spend their entire pay check getting fit. Exercise videos, apps and computer programs could be some of the more reasonable ways to get in shape for those on a budget. Here are our top 5 ways to get in shape without draining your bank account. Download An App – As the apple commercial says “there’s a app for that.” There are tons of apps on itunes to help you get in shape! Search the library and find apps with good ratings that are user friendly and updated often. Search The Web – The Internet isn’t just for business and entertaining anymore! It is a source of information on every topic imaginable. 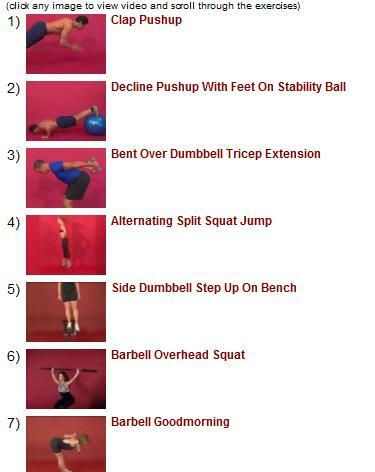 There are also websites that cater to individualized workout plans. For a minimal monthly fee you can have the power and knowledge to make your own routine for a fraction of the price. One of our favorites websites is Physical Fit.net. Press Play – Workout DVDs such as P90X and INSANITY have changed the face of “at home fitness.” With the right exercise program, some determination, consistency, and minimal equipment, you can transform your body in a couple months. The company “Beachbody,” makes programs for every level of fitness. Go Old School – No one says you have to go to a gym to get fit. Use equipment around your house such as a bike, roller blades, jump ropes, chairs and steps to get fit! Possibly the most inspiring thing a person can do is to GO OUTSIDE! Exercising in nature has a calming affect that allows you to clear your mind and feel renewed from your workout. Inventions Make The World GO Round – You would be surprised at how many fitness inventions are on the market today! Devices that track your progress can provide huge amounts of motivation. 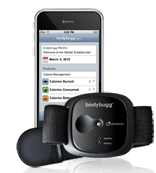 Our favorite device so far is the Bodybugg. Fitness doesn’t have to be expensive to be affective. With the right mind set, some determination and consistency, you can make exercise part of your life on any budget!